Welcome to June. 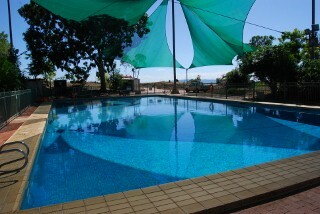 That means we are only 30 days off the half way point for 2010. That also means that for most of you, the winter woollies are out of the cupboard and most likely on your backs. Let me tell you that there is a very good reason for half of the population of the southern states being up in the Kimberleys this time of the year. The weather is amazing. Clear blue skies and absolutely no need for anything but shorts, a tee shirt and thongs. 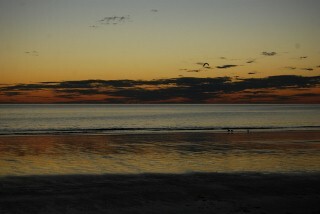 The nights do cool slightly but still no need for the jumpers, unless you are off the coast of course. The increase in the number of tourists on the roads now is hard to imagine. From the back of our house in Warmun we can see the Great Northern Highway, the only tar road from the East to the West, other than the Nullabor. Before June we saw the odd van or camper going by, but they were very few and far between. Boy, what a difference a month makes. The road now is a constant procession, the Turkey Creek Roadhouse campground is full to overflowing, as is the the van storage area for those wanting to visit the Bungles. Most afternoons I walk to the roadhouse and walk around, checking out vans and campers and chatting to the tourists. I do miss the van, miss the convenience but don't miss the fact they are harder to tow and more restricting as to where you can take them. 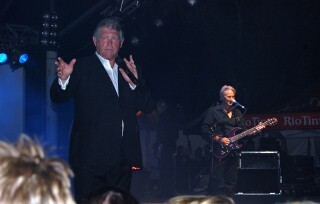 The first weekend in June and we were off again to Kununurra for the 'Kimberly Moon' festival, which had John Farnham as the lead act. The festival actually went for about 2 weeks with all sorts of concerts and activities, culminating in the big concert on the last weekend. This festival has now been running for a number of years and is certainly growing year by year. 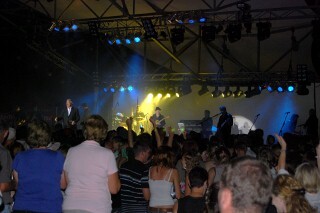 The final concert was very well attended and extremely well organised and run. It actually looked to me to be 'professionally' run by a company that does these gigs all the time but I could stand corrected. 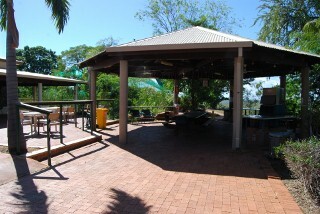 Gates were open at 3-00pm with a constant free shuttle service to ferry people to the venue, which was an outside event on the banks of Lake Kununurra near the golf course. 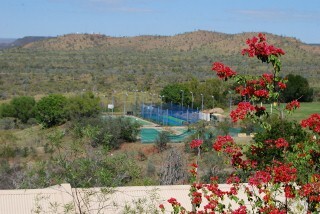 We stayed in the caravan park almost next door, the Discovery Holiday Park- Lake Kununurra (The old Kona C/P) so we were able to just walk the 200 metres there and back. All your gear was searched and confiscated on entry to the concert if it did not meet the entry criteria. By the time we arrived at around 4-00pm it was very busy but luckily found a small area very near the front to lay our picnic blanket and all our gear. This year the Kimberleys has had some very unseasonal weather that has caused all sorts of problems for our tourist season. Unfortunately the two weeks of the festival had been dealt some very nasty weather with plenty of rain being delivered and unfortunately some cancellations of events. As we lay on the blanket watching the passing parade of people the sky grew darker and darker with some very threatening storm clouds. In fact at one stage we were completely surrounded complete with lightning and thunder except for one clear patch straight overhead. As this venue was completely outside, a storm now would have been most inconvenient. I imagine there was a number of very worried organisers, as only the afternoon before, cancelling the event was very much on the cards. The entertainment started early with a number of back to back singers coming to the stage to keep the ever growing numbers amused. We lay on the blanket, glass of red in hand, watching the sky threaten us while being serenaded by the entertainers. Big John came out at a respectable 8-00pm and gave us a nearly one hour non-stop, energy packed trip down memory lane, complete with Sadie. 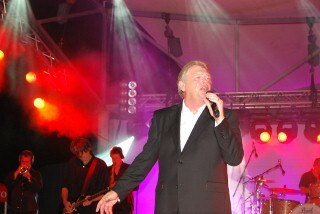 He might be getting older, he might be getting fatter, but boy, oh boy, he can still sing and entertain. 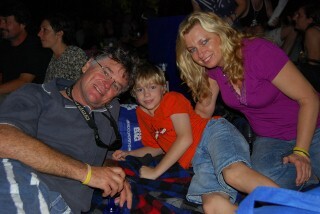 A great night was had, without one drop of rain - who would have believed that, with a sky so menacing. 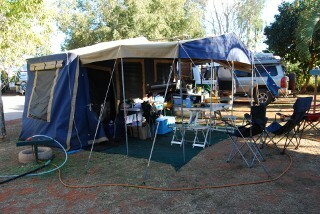 The next hurdle to overcome was to keep the rain at bay so we could pack the camper up dry the next day. Having to get home and set it all up again to dry would be a real pain. Again lady luck shone down on us and the night remained dry and the morning sunny. It was then off to the shops to restock again before heading back to Warmun. On the way home we visited a few water holes that we had planned to see in the past but to date have not seen. 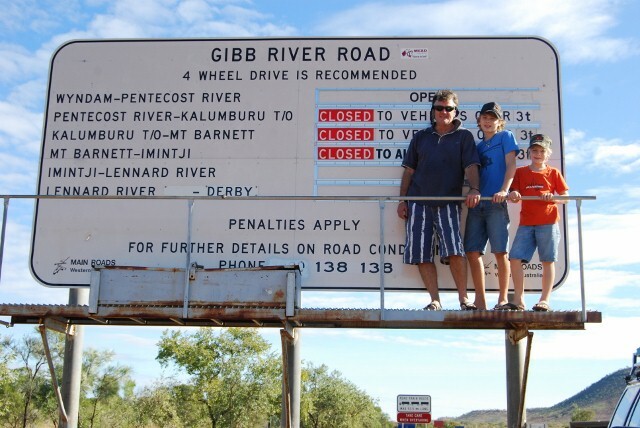 On the way we passed the beginning (or end, depending on which way you are going) of the Gibb River Road. As you can see from the photo some of the roads were closed which is very unusual for this time of the year. 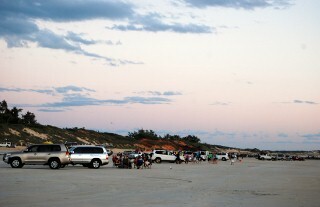 We only had 4 weeks left in Warmun before heading off to One Arm Point on the peninsular north of Broome. 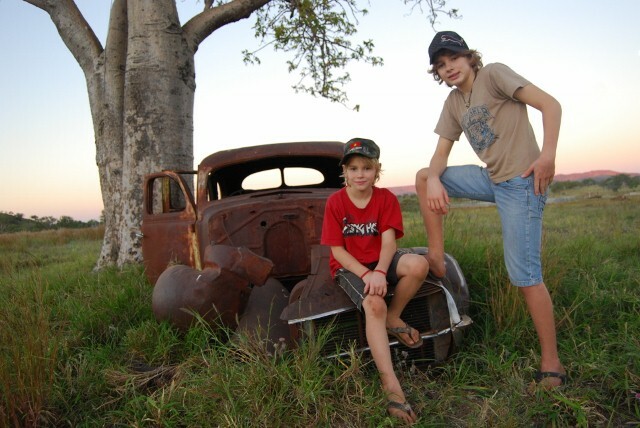 In that time I had to go to Halls Creek for a 3 day course, which had a ton of prereading and the boys had to continue to catch up on school work, doing 9 week's work in 4 weeks. While both the boys (and the home tutor!) worked hard, in fact 7 days a week hard, Alex in particular put in an amazing effort and completed all his term's work by the deadline for his mid-year report. It is amazing what they can do when they really have to. To be so self-directed at his age is a skill that he will carry for the rest of his life. Then on top of that we had to pack up (again) and clean (again) before moving on. 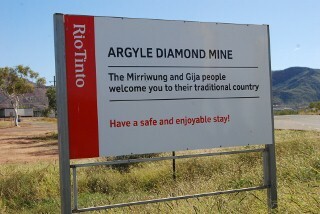 Then, just to make that task even more difficult we arranged a trip through Argyle Diamond Mine for the day we were leaving Warmun. Argyle has a health centre that I had a lot to do with, as we share clients. There are two staff in the clinic that do one week on, one week off, back to back. These guys get a free flight to Perth and back on a chartered flight each week. Halina (one of the two) had offered months earlier to show us through the mine if we were interested. It was certainly something we really wanted to see and certainly something we should have done earlier than our last day. While the public are able to do tours (only flying in, then with a very limited ground tour - cost around $600-00pp), we saw everything. It took Halina a week or so to get our security stuff arranged and to arrange some people to show us around. Unfortunately the boys could not come as you had to be over 18 yrs old to visit the places we were going to visit, so we left them at home. We arranged to meet Halina at the security gate at 9-30am. She picked us up in the ambulance and our private tour began. She first took us to the residential camp. Seriously, this place is like a resort. 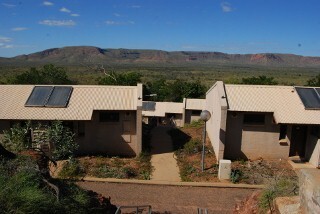 The accommodation is real brick buildings (not demountable dongers) with private facilities, overlooking the mountain range in the distance. They have a huge restaurant (all meals provided free) that is as nice as any island resort we have seen, a bar, a shop, two gyms, tennis courts and a huge pool. 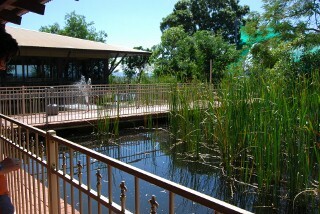 The entire area around the camp is landscaped with a huge pond surrounding most of the communal area with connecting walkways. This is seriously flash, and nothing like I expected. Then we went through the security section where we were told the 'do's and 'dont's', and received our security passes. As you could imagine security here is very high. Staff are searched, x-rayed and watched very closely. After security went went to the clinic for a look and a cuppa. 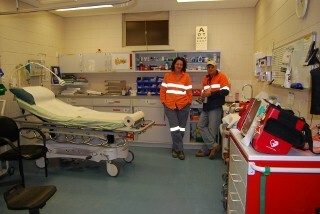 The clinic, while on the smallish size, is extremely well equipped as you would expect from a mining clinic. We were then met by Steve who is the safety officer. We jumped in his car and he told us some of the rules of the area. 1) You must be escorted everywhere. I could not even walk to the car to get my water bottle to refill without someone with me. 2) You are not allowed to pick anything up from the ground. (Not sure what you do if you drop something!!) 3) You must have safety glasses on at all times when outside. 4) Windows in the car must be up at all times. (due to the silica in the air) 5) Soles of your boots have to be checked prior to leaving the secure area in case a diamond is stuck in the tread. 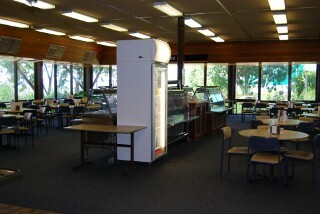 The mine has it's own security staff as well as a Police station with two WA Police officers. 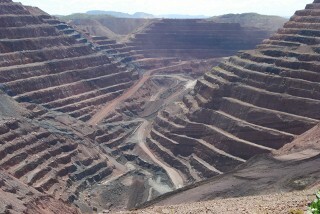 Our first stop was up to the open cut pit for a look. This is a very big hole in the ground that is coming close to the end of its life as they can't go any deeper. The next stage now is to go underground to get the diamonds that they can't get by open cut mining. They commenced building the tunnels a few years ago and will be in full production by 2012 when they plan to cease open cut mining. 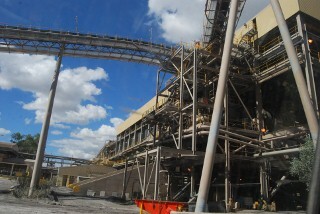 I found it interesting that a lot of the big trucks at the mine are remotely driven as the area is too unstable to risk a life by having the driver in the truck. This will not mean loss of jobs as each truck still needs someone to drive it, whether they are in the truck or in an office. That is one serious computer game. 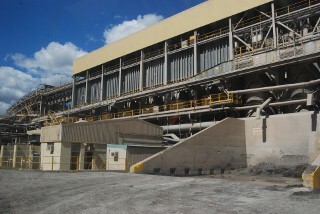 We then went to have a look at the processing, washing and separating plant where the rock is crushed to 12mm size. I asked why they crush the rock so small and what happens if there is a diamond bigger than 12mm, that will get crushed. I am sure you are all wondering the same thing!!! The reason is that they know from this type of volcanic rock that the diamonds will be no bigger than the 12mm. The area being mined is an old volcano core. After the crushing process they use a chemical mixture that separates the rock and diamonds by making one of them (can't remember what Steve told us now) heavier, therefore sinking to the bottom. Who ever comes up with these ideas???? We then went for a walk to the Argyle Showroom and on the way met one of the Emergency Response guys. We chatted to him for a while and he very kindly gave me two Argyle Emergency Response caps and a stubby cooler. This was rather exciting for me as I have for a few years now been collecting stubby coolers from all over Australia (up to about 60 or so) and Emergency Services caps, i.e. Police, Fire and Rescue and Ambulance. I am doing pretty well with the cap collection but am in need of a few more from the Southern States. If any readers have access to any and are willing to part with them please drop me an email (parfitt@followourtrip.com). It would be very much appreciated. Then it was into the showroom that does not actually sell the diamonds (that is done from the shop at the residential village) but rather explains about diamonds and the mine. All very interesting. After the GFC the diamond industry did suffer a little but the majority (like 95%) of the diamonds from this mine are for industrial use, so things did keep ticking over. They are slowly getting back to their full quota of staff. So that was it for our personal tour, again an opportunity and experience that money can't buy. Yes, you can do a fly-in tour, but would not see half of what we were lucky enough to see. Thanks Halina for a great morning and a great opportunity. I did offer her a tour of the Warmun Clinic, which she laughed at. Why did she do that????????? 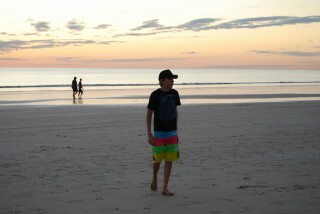 So while we had a great time in Broome, the weather was a bit average, windy and wet and even a bit vaguely cool. Once again lady luck was on our side and it cleared up the day before we had to pack up and head up. So again, by the skin of our teeth our canvas stayed dry at that crucial pack up time. So that is pretty much it. Until next Month.